This page explains a little bit about the NES Health system, bioenergetics, and how Dr. Michelle is using it as part of her practice, by answering some of the most frequently-asked questions. Bioenergetics is the study of the energy transformation and energy exchanges within living organisms and between their environment. 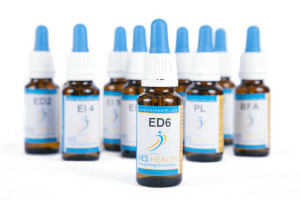 NES Health has combined the theories of bioenergetics, Traditional Chinese Medicine, quantum physics, and technology to create a system which works at the energetic level of the body to stimulate innate and powerful holistic healing. What does bioenergetics add to acupuncture? Both describe and are concerned with energy and energy flow within the body, but in different ways. They can compliment each other: a course of treatment may include a combination of the two. A system that is focused on wellness in us and our pets, rather than disease. It is backed by more than 30 years of scientific research and over a decade of human studies. Stimulates the animal's natural self-healing ability. Sends corrective information to the body-field, activating its holistic and innate self-healing mechanisms. The Human Body-field explained [NES Health]. It is an energetic matrix created by your body from energy it both produces and gathers from the environment. It can be seen as the body’s “energy operating system”. It governs all aspects of the physical body. It can be severely disrupted throughout the body’s many layers, resulting in a breakdown in the biochemistry of the body, which manifests as disease and accompanying symptoms. Why look at the body-field? The body-field is what regulates all the processes that occur in your pet’s body. When functioning correctly, the body-field orchestrates harmonious balance in the body and mind, and encourages the body’s own ability to heal and stay healthy. It can be damaged by all manner of trauma, stress, toxins, injury, infections, and radiation exposure. When distortions in this energetic field occur, the information pathways break down, the mind and body become tired, and health becomes compromised. What are the positive effects of correcting distortions in the body-field? Reduces pain and speeds up healing by stimulating stem cell production. Resolves performance issues in healthy? 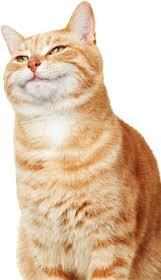 animals and aids recovery after injury or illness. Relieves soreness, stiffness, arthritic conditions, and ligament, tendon, muscle or bone injury. Improves circulation - not by increasing heartbeat or blood pressure - but by opening and dilating arteries and capillaries. This also reduces swelling. Widely used in the treatment of bone fractures and torn tendons. Penetrates deeply to relieve muscle soreness. Increases the level of oxygen absorption in the cells. Studies have shown O2 partial pressure increased 200%. Keeps your pet supple, relaxed, and fit. Infoceuticals help to restore the body's balance and stimulates specific healing responses. Drops designed for daily dosing. Consist of water and colloidal minerals imprinted with energetic information. Designed to restore integrity to damaged energy fields. These work daily at the cellular level, correcting and repairing the deeper core factors of many health and wellness issues. Infoceuticals will be dispensed based on the priorities identified in the scan results. Individual infoceuticals will last for the duration of the treatment period, which is usually between 4 and 6 weeks. 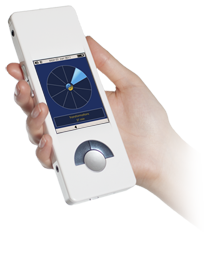 A hand-held device that looks like a large iPod, used for both scanning and treating. It contains electrodes which measure bio-electric skin resistance and relative areas of imbalance when scanning the body-field. Emits Pulsed ElectroMagnetic Frequencies (PEMF) to unblock and rejuvenate energetic pathways when treating. Will be used after each scan as different blockages are addressed/identified. Follow-up miHealth treatments may be scheduled. 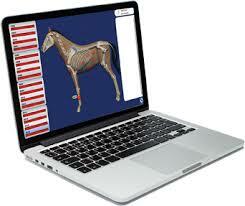 Specialized software that analyses the integrity of an individual's body fields. Developed through scientific research by Peter Fraser. 150 areas of bioenergetic wellness are instantly assessed and mapped in the most specific detail available. Indicates acupuncture channels that have blocked energy. A review of your pet's past and current medical history, and a review of your pet's routine daily behavior and body functions. A physical examination of your pet. The miHealth will be used to do a quick scan of your pet’s body-field. This scan takes only seconds and cannot be felt. Animal ProVision will be used to analyze your pet’s scan. Normally the treatments are not felt by the patient. A few may show awareness of the energy fields by licking the miHealth or shifting around but they don’t feel any discomfort. Infoceuticals will be recommended, usually between two and four different ones. What is the interval between scans? Typically between 4 and 6 weeks, which allows for each infoceutical protocol to be completed. Appointments between scans may be scheduled for follow-up miHealth sessions.